Notice they didn't include "Ginger" in that statement. This kind of a vulgar racist joke should not be publicly displayed. 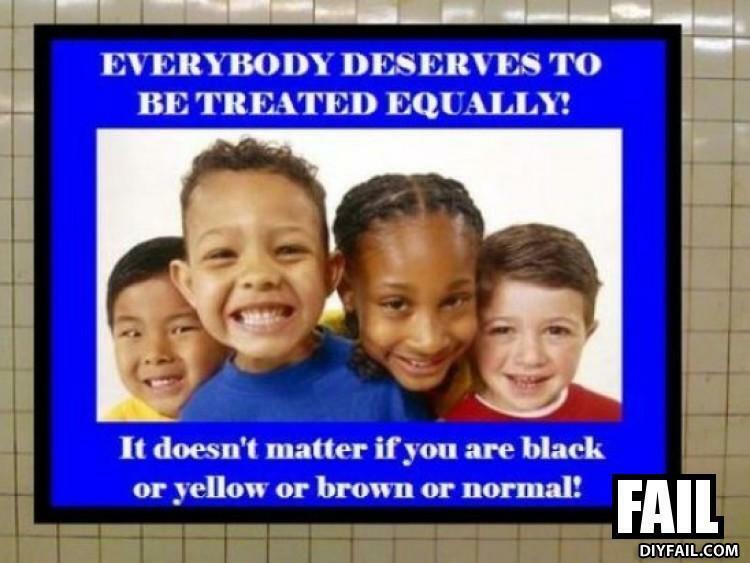 unless you are asian ... Get in the back!